​Taking you on a magical journey of discovery with seventeen different crystals. Also includes an introduction on how to select, cleanse and work with crystals. PDF booklets for each of the crystals packed full of details, magical properties and all sorts of correspondences, cleansing recommendations, tuning in, complimentary crystal suggestions, incense ideas, spells, divination meanings, making charm bags and crystal wheels. Working with: Amethyst, Green Aventurine, Black Obsidian, Carnelian, Citrine, Fluorite, Hagstone, Hematite, Labradorite, Malachite, Clear Quartz, Rose Quartz, Smoky Quartz, Selenite, Snowflake Obsidian and Tiger's Eye. 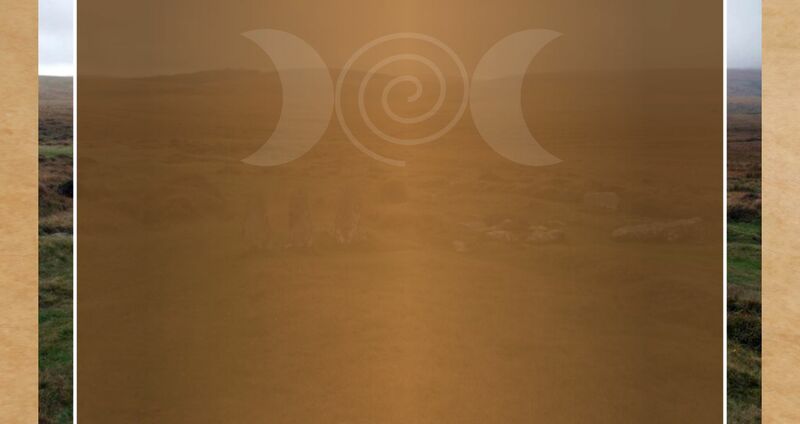 Spell work for the intent of: Releasing negativity, Strength, Success, Healing, Divine Connection, Meditation, Intuition, Confidence & Courage, Wisdom, Protection, Grounding, Love, Prosperity, Changes & Transformation, Balance, Happiness, Binding & Hexing. You will also receive access to a private facebook group. 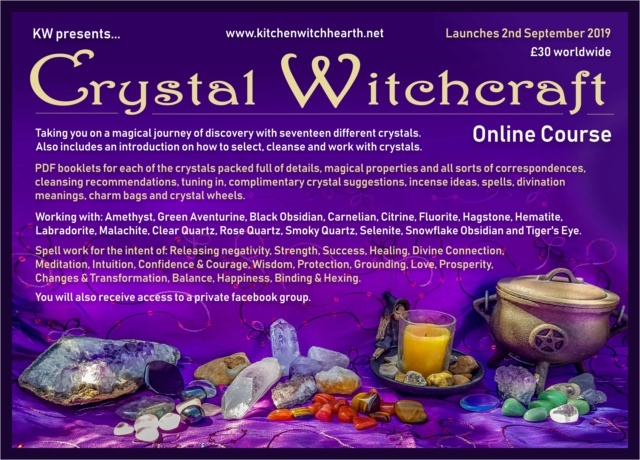 Please register on the forum www.kitchenwitchhearth.com​ to allow access to the courses once purchased. *Current Kitchen Witch students please email kitchenwitchhearth@yahoo.com if you would like to take this course.